Atari is entering the realm of wearable technology with their newest innovation, the Speakerhat. The Speakerhat recently made its public debut during San Diego Comic-Con, where attendees got to experience the audible cap firsthand. 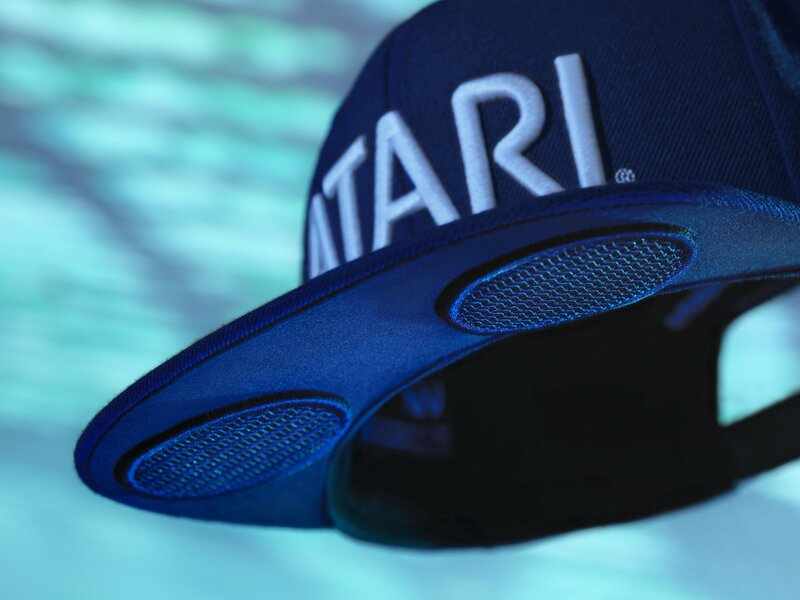 Powered by Audiowear, the Atari Speakerhat is a baseball-style cap that features two high-fidelity stereo speakers built into the cap. The The Bluetooth-enabled Speakerhat allows users to connect to nearby devices to stream music and other media content. Due to its patented “Social Synchronous Broadcast” technology, multiple Speakerhat wearers can share the same audio stream simultaneously, allowing for a unique connected experience. The Atari Speakerhat is currently in beta testing and is not yet available to the public. However, those who sign up for the Atari Speakerhat Beta Test can enter to win an exclusive Atari Speakerhat prize pack that includes one Speakerhat and nearly $300 worth of Atari products. To register to become an Atari Speakerhat Beta Tester and enter to win an Atari Speakerhat, use the widget below or visit the Atari Life signup page for details.